NEW YORK, July 26, 2017 /PRNewswire/ -- IMAX Corporation (NYSE: IMAX) today announced the appointment of JL Pomeroy as Chief Marketing Officer, effective July 11. Reporting to IMAX CEO Richard L. Gelfond, Pomeroy will lead the Company's global marketing efforts to ensure filmmakers, studios, exhibitors and moviegoers around the world embrace the power of The IMAX Experience®. "IMAX is one of the world's most recognizable brands. As we continue to innovate and invest in new content and VR initiatives, our brand must evolve to reflect these new business priorities," said IMAX CEO, Richard L. Gelfond. "JL has a strong creative brand vision and a passion for content creation. Her success as an entrepreneur with a unique ability to ignite change will strengthen our brand and further cement IMAX as the global leader in immersive entertainment." Pomeroy is a senior marketing executive with 25 years of international experience in the luxury, media, and entertainment sectors where she established a reputation as a brand builder and change agent. Prior to joining IMAX, Pomeroy founded JumpLine Group, a brand activation agency with offices in New York, Los Angeles, San Francisco and London where she served as CEO, creating innovative marketing campaigns and experiential activations to drive consumer engagement. Pomeroy's passion for film has been evident throughout her career. She expanded JumpLine Group by creating a film and digital content division, BehindTheLine Productions. There she developed and produced "Live From New York!" a documentary about Saturday Night Live, which had its world premiere on opening night at the Tribeca Film Festival. 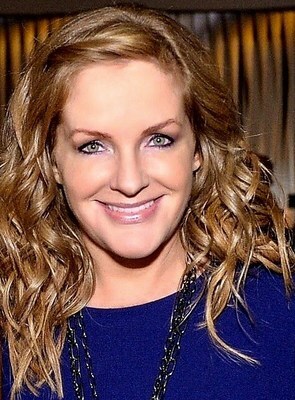 Prior to JumpLine Group, Pomeroy served as Publisher with Modern Luxury Media where she launched Front Desk Los Angeles, a high-end city magazine. Pomeroy also was the Vice President of Sales and Marketing, North America for Cartier where she grew brand awareness and market share for Cartier, Montblanc, and Alfred Dunhill. "IMAX has been a trailblazer in entertainment technology for nearly 50 years," said Pomeroy. "The brand has long represented the ultimate movie-going experience, and is uniquely positioned to become the leader in immersive content. I am thrilled to be joining this incredible company at such a pivotal time as IMAX continues to shape the future of entertainment." Pomeroy is a graduate of California State Polytechnic University, Pomona with a Bachelor of Science in Marketing. She currently lives in New York City.